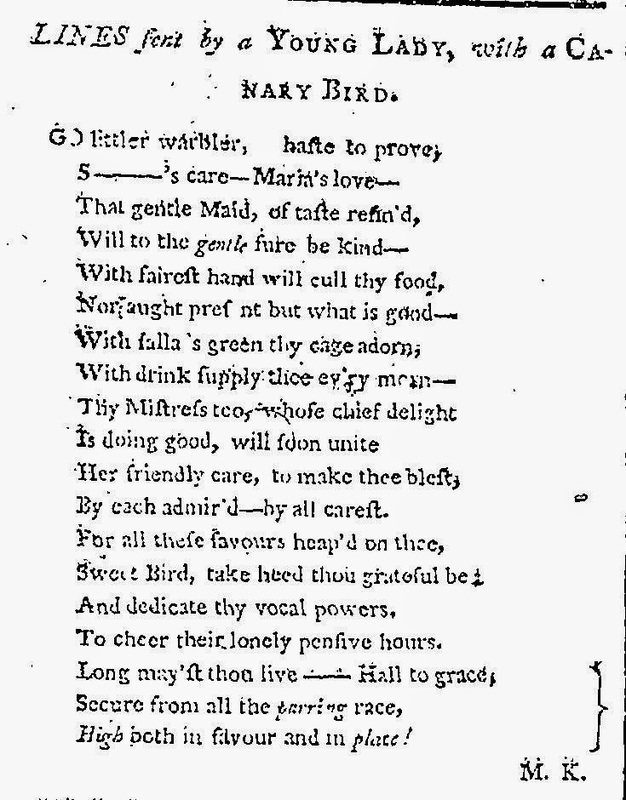 M. K. "LINES sent by a YOUNG LADY, with a CANARY BIRD." Times [London, England] 6 Dec. 1787: 4. The Times Digital Archive. Web. 8 Apr. 2014.